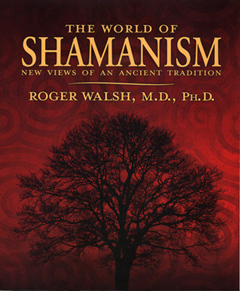 According to Roger Walsh in The World of Shamanism: New Views of an Ancient Tradition, “Shamanism can be defined as a family of traditions whose practitioners focus on voluntarily entering altered states of consciousness in which they experience themselves or their spirit(s) interacting with other entities, often by traveling to other realms, in order to serve their community” (15). Although the present post focuses on spectators as shamanic practitioners, filmmakers themselves are the first to undergo and then make possible this journey to other realms. In other words a writer-director like Linklater is something of a modern-day shaman as is anyone else, e.g., cinematographer, editor, film score composer, et al., who helps facilitate the spectator’s own cine-shamanic journey. Walsh and other writers such as Michael Harner note that a natural cave often serves as the point of departure from this world into shamanic worlds or realms. The trip down into and time spent within the cave is characterized by sensory deprivation, severe exertion including movement through narrow passageways, and darkness. The darkness however does not remain. Once seated practitioners fortunate enough to enter into an altered state of consciousness find that the darkness is replaced by a most luminous inner and/or outer revelation. As the shamanic cosmos is often divided into three realms or worlds and the ordinary world in which most of us live is called the Middle World, the revelation experienced by the journeyer takes him or her out of the Middle World to one of the two remaining realms. One of these realms, i.e., the Lower World, affords the journeyer an experience characterized by tests and challenges ideally leading to transformation, adaptation, and empowerment. Once all is said and done, the shamanic journeyer returns from the Lower to the Middle World better equipped to handle the demands of his or her material existence. Parallels between the shamanic and cinematic experiences may already be apparent after reading the above description. For spectators, the trip from their home or point of origin to the movie theater sometimes can be an ordeal unto itself. After parking the car, making their way up and down escalators, standing in line to buy tickets and refreshments, using the restroom, et cetera, they walk through the narrow entrance leading into the theater’s main hall toward the comfort of their seats. Sitting down, they await the cinematic journey before them and as lights dim sink further into a relaxed state characterized by what Coleridge called a voluntary or willing suspension of disbelief. As the curtain parts they are primed for inner and outer revelation. Entrance into the Lower World of cinema is often marked in the dialogue or camera-work at the very beginning of a film. The descent out of the night sky to the streets of Paris in Hugo and the daytime descent to a city bench in Forrest Gump signal to spectators that they are entering another realm in which they will experience tests and challenges through identification with one or more on-screen characters. Similar descents also can be found at the start of Skyfall and Star Trek Into Darkness, the opening image of which is pictured above. One film in which descent into the Lower World is noted through dialogue is The Graduate with its memorable opening line: “Ladies and Gentlemen, we are about to begin our descent into Los Angeles.” Over the course of the film spectators follow Benjamin Braddock (Dustin Hoffman) as he ventures out into a very uncertain post-graduation world. He faces numerous tests and challenges such as those posed to him by the seductive Mrs. Robinson (Anne Bancroft). Benjamin’s story is all about personal transformation and adaptation to the new world he finds himself in, and yet it is an adaptation that ultimately is empowering and victorious especially over the expectations of others around him. The impact on spectators of their journey into the Lower World of cinema varies in accordance with the degree of conscious reflection they bring to that journey. In Werner Herzog’s Cave of Forgotten Dreams circusman-turned-archaeologist Julien Monney remarks that he experienced such an emotional shock from viewing the ancient cave paintings in France’s Chauvet caves that he had to leave the cave, relax, and take time to “absorb” what he saw. He experienced something deeply real and such an experience that lasts long after the film is over is a hallmark of what I call deep realism. Next month’s post continues the exploration of deep realism in the context of cinema’s Upper World. Update: For another trip into the Lower World of cinema, click here. This entry was posted in Cinema, Deep Realism. Bookmark the permalink. Very clear and your description of how the first scenes of a movie depict entering the world of a particular movie world explains for me the funny feeling I have at the start of every cinematic experience! Thanks! Eddie Ed, thanks for reading my post. Keep an eye out for next month’s entry: I plan on writing more about the first scenes of a film and our entry into a particular movie world!